Rifa Pharma provides comprehensive services relating to marketing of medical devices in India. As consultancy in medical devices Rifa plays a key role as their usage is rapidly increasing in the country. 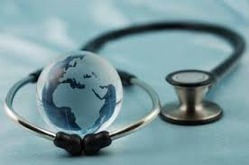 We are active in all spheres of activities relating to medical devices. The art of creating a world-class product and seeing it fly off the shelf is called product marketing. Product marketing includes many more P′s before the product actually reaches the store shelf, 7 to be specific.